Hello Everyone! I hope you are having a pleasant weekend. It finally feels like fall here in North Georgia! We’ve had some very fallish temps and are expecting to have a nice week. I even got out yesterday to plant some mums and pansies. It was just too hot for them before. I have finally gifted the Bicycle Quilt to my friend Lydia. I had partially quilted it by her birthday in August and showed it to her, but took it back. I did finish it the next week. Unfortunately, we couldn’t get together until a few weeks ago, but she has it now. I love this quilt. I almost didn’t want to give it away! It does have a little story behind the fabrics and making it. In May, my guild held an auction of donated items from the members. I really didn’t see any boxes I wanted until I came to a box that had a set of 3 1/2″ squares and some other goodies in it. I bid on the box and won it! When I saw this fabric (Cycles of Life by Kristen Berger for Maywood Studios), I immediately thought of Lydia who is an avid bike rider. She and her husband were also looking for a new house. I thought I could make a quilt for the new house with these fabrics, but there was no rush, or so I thought. I received an invitation In mid July for Lydia’s birthday party. Now, I thought I would give her the quilt for her birthday. So I had to get busy, but I had to finish another project I was working on first. I started looking for ways to use the squares in a quilt that would be quick to put together. I got the idea from Oh, Scrap! by Lissa Alexander. The block is a traditional Granny Square. The size of the block squares in the book are different than what I had, so I did some readjusting to fit the squares that were already cut. I used this Multi Clamshell ruler by Handi Quilter to make continuous curves in the granny square blocks. Just be careful with this one. It’s made for a long arm and if you have a low shank ruler foot, it might not fit on your machine. In the sashing, I free motion quilted a tight wishbone design. I wanted the squares to pop. In the border, I used “Archie”, one of Angela Walter’s new quilting rulers. These rulers are made by Creative Grids and already comes with a grippy side just like their cutting rulers. I started quilting from each end of the border, and made the design fit along the way. I like the look of this border and you will probably see it again. I purchased the border and backing fabric to complete the quilt. The border is Simply Neutral by Northcott Studio and the backing is Kona Cotton. Solids really do a nice job of showing the quilting design. I used Quilters Dream Wool for the batting to help keep the quilt light and fluffy, even with all the quilting. The wool also does a nice job of showing the quilting, too. This is the second time I’ve used that batting and I plan on using it again in the near future. Thanks for stopping by and letting me share this fun quilt with you. Have a great week. 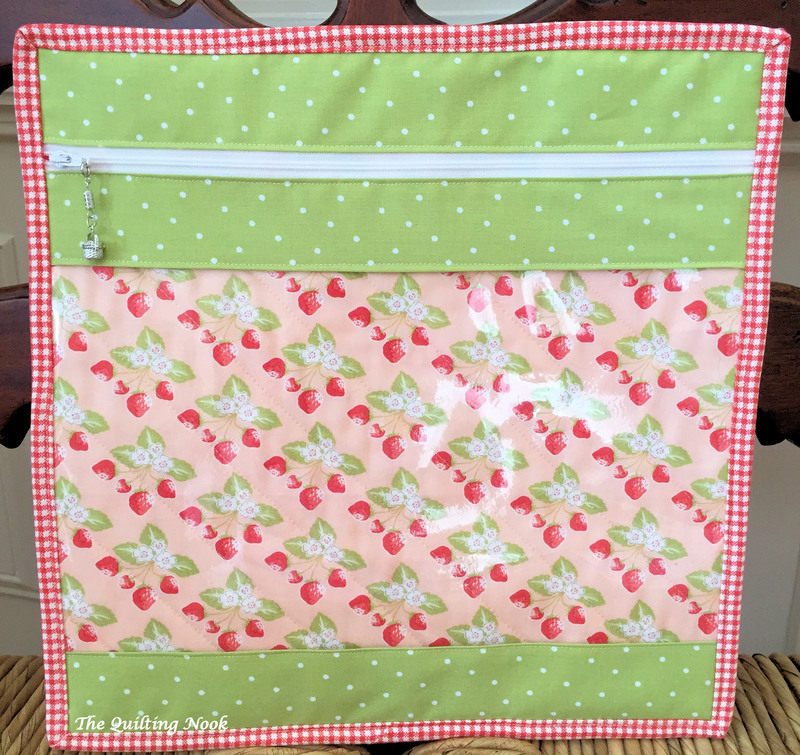 This entry was posted in FMQ, Free Motion Ruler Work, Rulerfoot Quilting, Uncategorized and tagged FMQ, free motion quilting, Granny Square Quilt, Ruler Work on Domestic Machine, rulerfoot, Specialty Rulers. Bookmark the permalink. Beautiful, beautiful finish. Love the the sashings in the same background fabric as the rest of the quilt – and your quilting is gorgeous! Thank you Sigi. It was a fun quilt to make. This was truly the perfect gift. I’m FINALLY caught up on reading blogs now, and am so glad you enjoyed the retreat. The quilt goes great with our new couch, and know it’s going to be great to wrap up in while watching TV! I hope you get lots of good use out of it. For a while, I didn’t think we would see cooler weather this fall! Enjoy!